Paint your fur baby! You will love the results! SEND PHOTOS IN BY MAY 17! Create a memorable keepsake of your loved pet that you will treasure for years to come. We have a group of highly trained artists in the class who will show you how to paint fur, eyes, mouths and ears, etc. 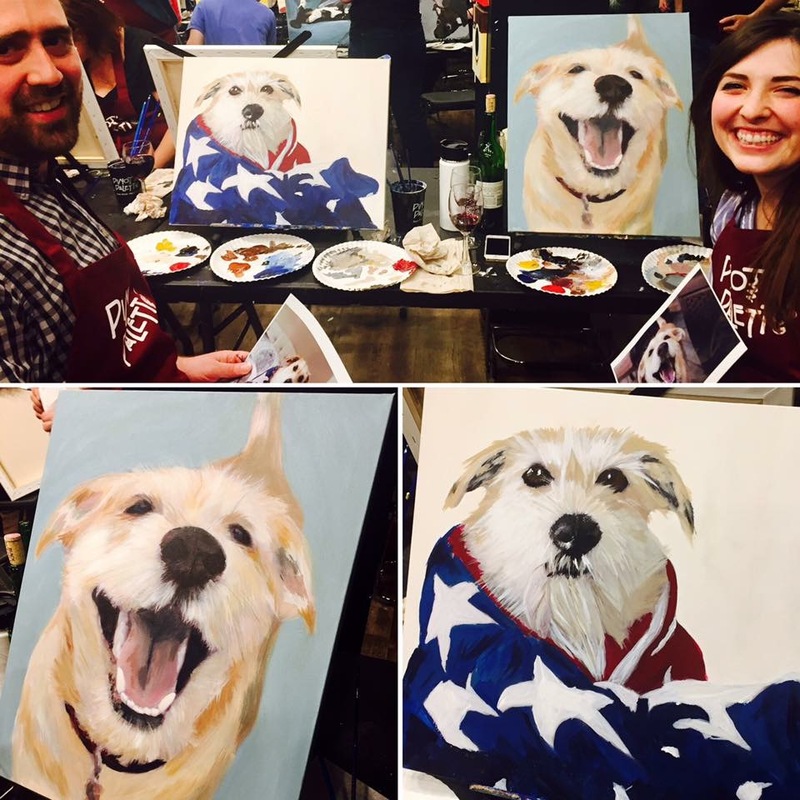 You will absolutely love our paint your pet class! Send us a photo via (jpg.) ATTACHMENT (not a screen shot) of your pet to princeton@pinotspalette.com BEFORE 2:00 pm on the day of May17th. PLEASE use the same email and name you used to sign up for the class when sending your photo. After registration, no refunds will be given. **Registration for this class will close May 17th **Photos not sent in by deadline will not have a canvas to paint on May 31st, and therefore you will lose your seat (no refunds). MAY 17th IS THE LAST DAY TO REGISTER AND DEADLINE FOR PHOTOS. NO EXCEPTIONS, THANK YOU.